Secure a Volkswagen Lease or Car Loan in St. Louis at Suntrup Volkswagen serving Affton, St Charles, Saint Peters, Kirkwood, and OakvilleWhen you add new and exciting Volkswagen models, a robust selection of quality used cars, exceptional Volkswagen incentives, and a wide array of financing options, you get the best there is to offer with Suntrup Volkswagen. More importantly, you get choices when you choose to Suntrup Volkswagen for securing a car loan or Volkswagen lease in Suntrup Volkswagen. Want to know our secret to helping you find the right car loan or lease solution for the vehicle you want to drive home? The Suntrup Volkswagen finance team loves crunching numbers, especially when it comes to saving you money. To put it simply, that means you can spend more time finding that new Volkswagen you’re looking for and less time and energy stressing about how you’re going to afford it. We work with various lenders in the St Louis area to help you secure the best auto loan or VW lease that suits you and your budget. 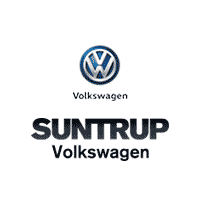 If you would like to find out what Suntrup Volkswagen can do for you when it comes to financing, be sure to fill out our online contact form today. It’s the simplest and most efficient way to get in touch with our team so that we can kick-start the process of finding financing solutions for you. Or, if you’d rather speak to us in person right away, we invite you to visit the Suntrup Volkswagen located at 6000 S Lindbergh Blvd. in St. Louis, MO.